Are you ready for VR? Experience 3D gaming and augmented reality with a range of virtual reality options to suit you and your budget. From simple headsets to give a taste of the new tech to full-on systems like the Vive and Oculus Rift, we’re here to help you take your gaming to the next level. VR comes in several forms. At entry-level, you’ll find cheap headsets that work with your phone using software like Google Cardboard. Fun and affordable, these headsets offer a glimpse of what’s possible with full VR. Samsung’s Gear VR is the best of the smartphone-based VR sets to date and will pair up with the latest Samsung phones. 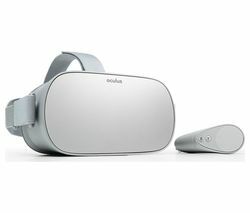 The Samsung virtual reality headset is light and comfortable to wear and it also comes with a controller and a great library of purpose-built apps and games. 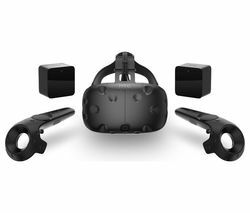 At the top end of the VR spectrum are the HTC Vive and Oculus Rift. These require a powerful PC to run apps and games but offer the most immersive VR experiences out there. Tracking your head in all directions, you can lean in and get close to virtual objects, reach out and grab objects and walk around a virtual space. The Vive also has some unique features, including two hand-worn gestural controllers and a front-facing camera that allows you to bring the real world into your virtual environment in some apps. A more affordable alternative is the Sony PlayStation VR, which works through your PlayStation 4 console rather than a super-powerful PC. 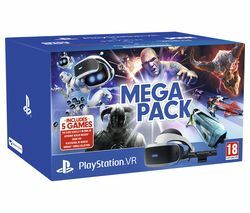 You just need to add controllers, or opt for the Sony PlayStation VR starter pack, which contains everything you need. Sony has set out to make VR more of a social experience, with a feature called VR Social Screen that transmits what you’re seeing in the headset to your TV so your friends can join in or watch. All VR headsets need to be used alongside a good quality pair of headphones, and there are other optional gaming accessories, from gestural hand controllers to gaming chairs, all designed to enhance the virtual experience.